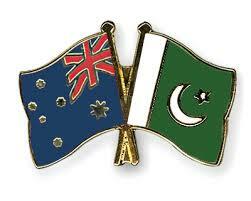 ISLAMABAD, Aug 2 (APP): The Australian Government through the World Bank is supporting the Government of Balochistan to address malnutrition including by encouraging breastfeeding, Australian High Commissioner Margaret Adamson said Tuesday. Noting that this week was World Breastfeeding Week, Ms Adamson said Australia’s AUD17 million nutrition project would assist improve access to nutrition in seven districts of Balochistan. “This project will continue the Australian Government-supported work to improve nutrition particularly for women and children. This will include encouraging and educating women to breastfeed where possible,” Ms Adamson said, according to a press release issued by the Australian High Commission. Australian High Commission and World Bank staff recently met Balochistan Secretary Health Dr. Muhammad Umer Baloch, DG Health Services Dr. Masood Qadir Nousherwani and Additional Chief Secretary Planning and Development Dawood Mohammad Baloch in Quetta to assess progress. “Improved coordination between development partners and the Government of Balochistan will be essential for the collective success of the various nutrition projects implementing in the province,” Secretary Baloch said. “Government of Balochistan committed PKR106 million last year for the nutrition project, and has allocated a further PKR96 million this year,” Additional Chief Secretary Baloch said. The Balochistan nutrition project will be implemented at the community level through the Lady Health Workers (LHW) program. Recruitment and training have been completed and the project is expected to commence in districts shortly. This will include: identification of malnourished children; promotion of early initiation and exclusive breast feeding; improving diversity of foods in regular meals; and providing multi-micro-nutrients, zinc supplements and ready to use therapeutic foods for malnourished children under five years of age, along with iron and folic acid supplementation for expecting and lactating women.